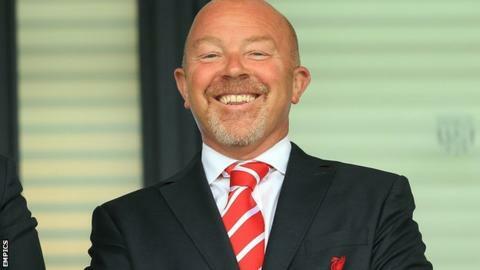 Nottingham Forest have appointed Frank McParland as the Championship club's new director of football. McParland, 57, has worked with Premier League sides Liverpool and Burnley, as well as Watford and Bolton Wanderers. Most recently, Liverpool-born McParland was in Glasgow working for Rangers, for their former boss Mark Warburton, who he had also worked with at Brentford. Warburton, 54, has been strongly been linked with the vacant manager's position at the City Ground. McParland effectively replaces Pedro Pereira, who left the club back in October. As well as his job as Academy director at Liverpool, he was chief scout at Watford, general manager at Bolton, sporting director at both Brentford and Burnley and then head of recruitment at Rangers. Meanwhile, Forest have announced a new four-and-a-half-year deal for teenage midfielder Matty Cash. Cash, 19, who has already made 33 first-team appearances, is now tied to Forest until the summer of 2021. He missed two months of this season after fracturing a bone below his knee in the 2-2 Championship draw at Aston Villa in September. This is a significant step for the club. Many fans have criticised a lack of structure over recent years. Anything that helps to correct this is to be welcomed.